This is the first time I have been able to get down to the Memorial to catch the flakes falling and the fountains running at the same time. Just as I got there, we had a bit of a “mini-blizzard” which was over very quickly. After one circuit around the Memorial plaza, it began to turn to rain. There were a few people at the Memorial taking pictures and we all politely stayed out of each’s others pictures. The profess on the Washington Monmument is steady and I am trying to take a few pictures for a sequence. 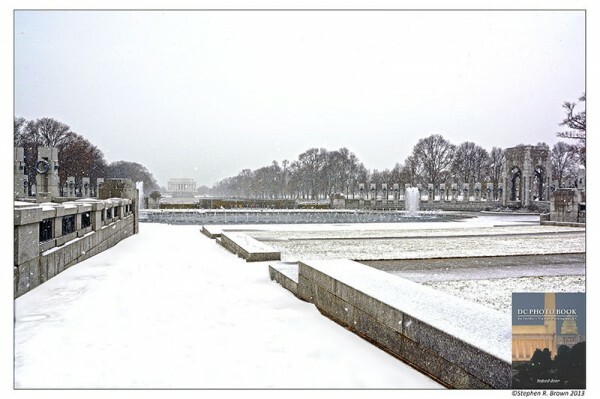 Congratulations to the Trust for the National Mall are in order. 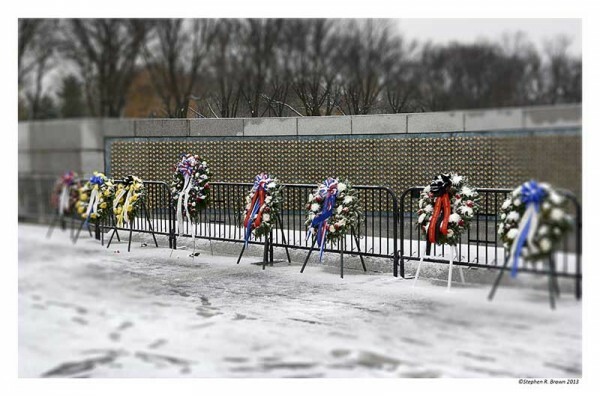 Wreaths at WWII Memorial left over from Friends of the WWII Memorial Pearl Harbor ceremony. 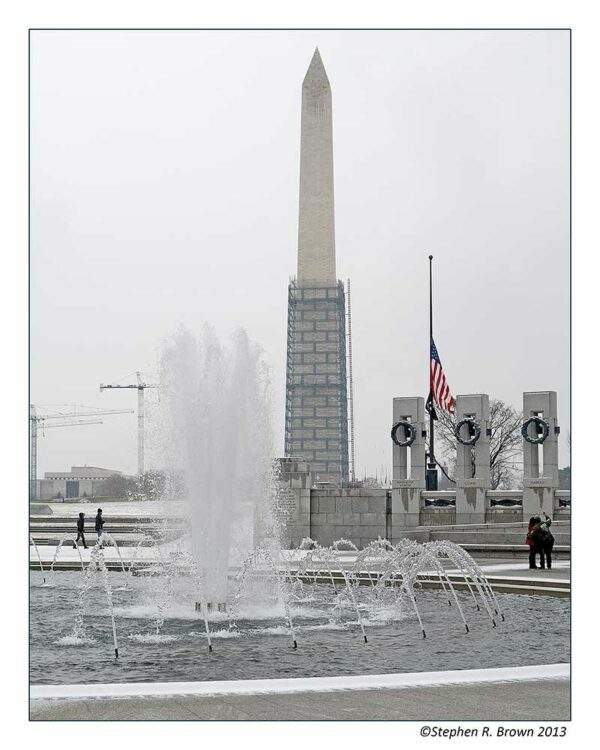 December 9, 2013 | Filed under Blogs, DC Photo Book, Honor Flight, Photography, WWII Memorial and tagged with DC PHOTO BOOK, Honor Flight, Jewel of the Mall, patriotism, photography, Senator Dole, Travel, veteran, WWII Memorial.